19 Nov Filed under Uncategorized. Tagged 5k, fun run, new york city, Pain, thanksgiving. Bookmark the permalink. Post a comment. Leave a Trackback (URL). Megan has been instrumental in cheerleading me to better shape. I made a promise to myself last February thatI;d loose weight and eat more health. And I have. Back then I was around 200lbs and eating poorly. I’ve given up soda for way over a year (except for the occasional Mexican Coke) and I’ve maintained a steady weight of around 178lbs through Bikram yoga and various Groupon deals at gyms. However, the one exercise I’ve neglected for years is running. I miss running. I really do. Back when I was a single hunk living in NYC, I ran everyday. And I was really good. I’d run about 3.30 to 3.75 miles in 22 minutes. For all you math nerds out there, that’s about a 6 minute mile. Now, I’m running about a 10 minute mile. I look back at those times and wonder, “Why the hell wasn’t I running competitive races in NYC?” Man, if I’d only known how fast I was running. 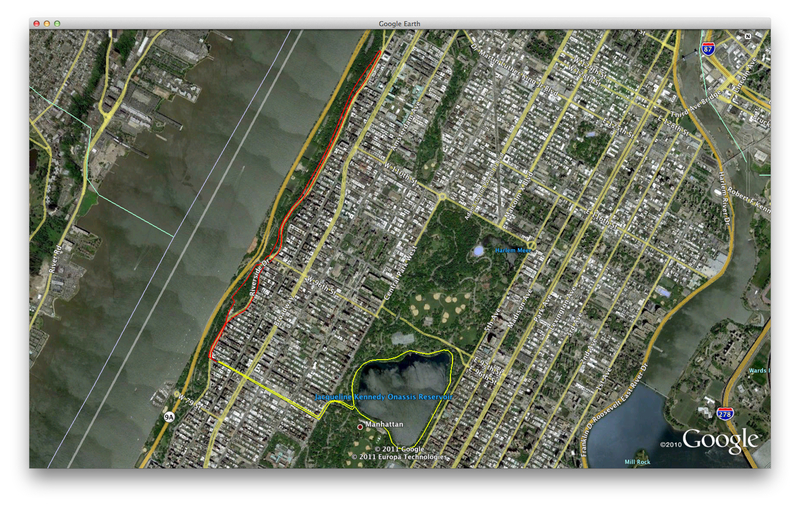 Here’s the two routes I ran in NY. Red = 3.75 miles. Yellow = 3.33 miles. Approximate distance. I never knew, till just now, how fast I was running. It makes me sad that I was so unaware of the distance and time. It also makes me want to get out there and achieve those times again. Megan has been super encouraging about this. I’ve been such cyclist for the past 6 years that I put running aside. I’m hoping that I can build myself back up. Which brings me to the title of this blog post. 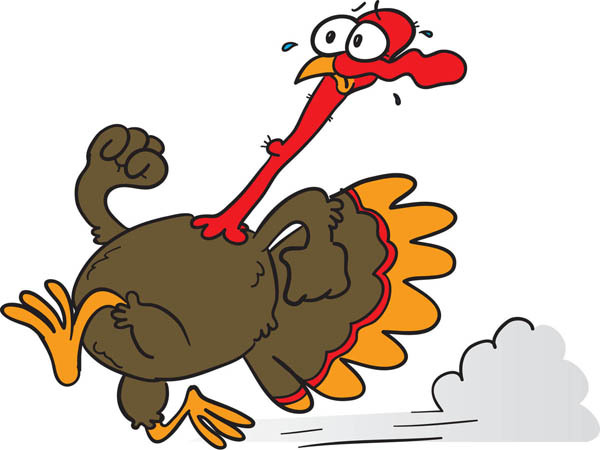 The Turkey Trot is a Thanksgiving morning fun run. If you’ve been keeping up with the posts, I ran a 5K in October called Pumpkins in the Park (Pumpkin in my Legs). I finished that with about a 9 minute mile pace. That’s not too shabby. However, if you recall, I was also walking like zombie for days afterwords. This almost depicts the pain I felt after the Pumpkins in the Park run. That whole experience has made me “run shy.” However, I still want to do another 5k, and soon. I mean, look at the NYC runs. They were both more than 5K paths. 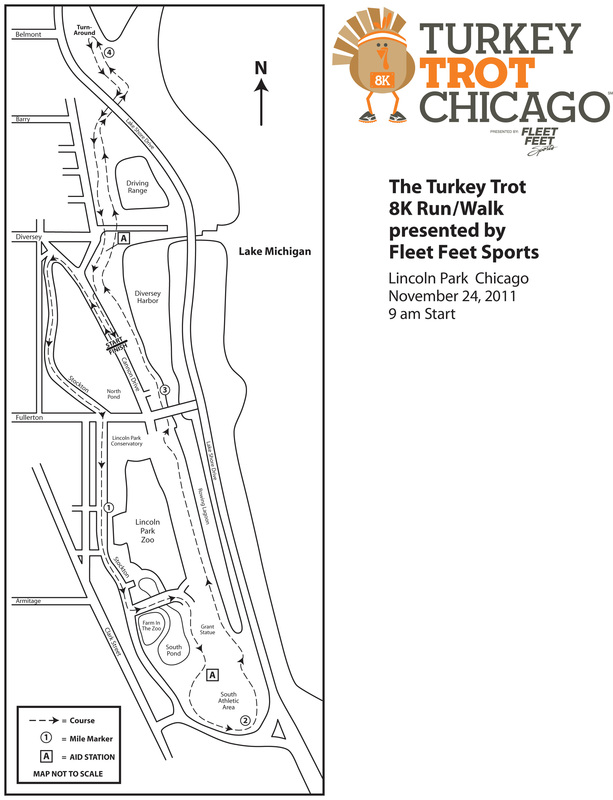 The problem – the Turkey Trott is 8K. 8K people! I’ve been swimming at the gym a lot and I just started running 5Ks on the treadmill and those leave me pretty sore. The question, can I run that distance (about 5 miles) and not kill myself. Megan keeps saying, “Honey, you can always stop and walk.” Yes, I could. But I also know that I am not that person. I will keep running despite pain in order to prove something to myself. A 5K is about 3 miles. Can I get that extra 2 miles in and not kill myself? Just calculating the distance I ran in NYC years ago has made me determined to do this run. So, friends. If I’m not alive on Thanksgiving night, know that I ran this in a nostalgic ode to my youthful days in NYC.